The Commissioner portfolios have now been allocated, but there are still a few jobs up for grabs in the private offices. These private offices known as Cabinets of the Commissioners for Trade – Cecilia Malmström, Development – Neven Mimica, Humanitarian Affairs – Christos Stylianides, Enlargement – Johannes Hahn and the High Representative/Vice President (HRVP) – Federica Mogherini, play a highly influential role in the EU’s international effectiveness. It is often a moot point whether the second most important person within a Directorate-General or Service is the most senior person in the administration, or whether it is the “Chef du Cabinet” of the Commissioner. While seven Commissioners are returning with different portfolios, it would be hoped that some will have waited until being confirmed in their posts on Wednesday the 10 of September before filling up all their Cabinets. These Cabinet members will have plenty on their plate as a new report from the European Think Tank Group recently identified a series of challenges in the peace and security, environment, poverty and development spheres for the next Commission. So, does it come down to ‘who is keen on who’ for the make up of these Cabinets? In addition to the Commissioners themselves, Member States like to have their people in Cabinets to keep a watchful eye or push their priorities from the top. 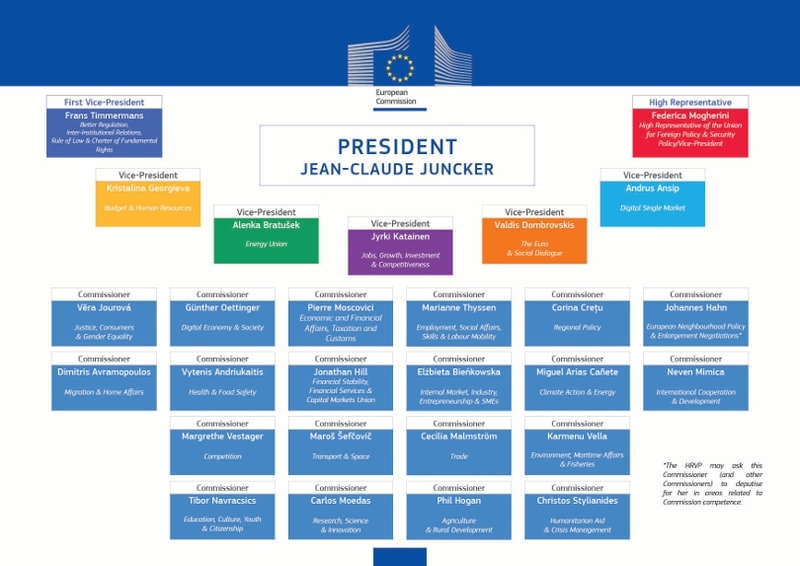 Commission President Junker has also made it clear that half of the HRVP Cabinet will be drawn from the Commission. Yet the teams are usually chosen for their loyalty, policy smarts with balance amongst nationalities also being a factor. Given the globalised nature of the challenges, however, and the fix the EU currently finds itself in, is this enough? What are the key attributes needed to create a ‘fantasy cabinet’ in the style of a fantasy football team for Commissioners with an external focus? I present seven attributes… there are of course many more. Cabinets help the Commissioners navigate the politics of inter-institutional dynamics, member-states posturing, as well as their own Directorates manoeuvrings. Sometimes they have to be the eyes, ears and mouth of the Commissioner yet also need to be good at striking deals. There needs to be good players of the game in the Cabinets, but not to the extent that the game itself, rather than progress and change on real issues of concern to the EU, becomes the goal. Individual loyalty to their sponsor is to be expected, but the vision of Cabinet members should not be political point scoring against other members of the Commission. Instead they should have a genuine all of EU approach to global problems. “What can the EU collectively do better” should be an imperative, working to break down barriers between different Directorates of the Commission and EU External Action Service. Obviously they serve politicians who are reluctant to share successes or acknowledge failures, yet ultimately successes on global affairs will be achieved by working together to a common vision. In some ways cabinet members have to be superficial on the huge amount of topics covered to survive a daily avalanche of information and shifting priorities. But on the big global issues from peace and security, trade, poverty and development, human rights, there have to be people in all Cabinets who actually know what they are talking about (which so far has not always been the case!). Having a feel how EU policy lands on the front-line of EU external action is crucial. Knowledge of the Brussels bubble is all very well, but having at least one person in Cabinets who has an intrinsic feel of how EU Delegations work from personal experience in non-EU countries and how they can be used is crucial. EU Delegations are overwhelmed with multiple expectations, yet having someone who knows how to use them well from the inside could be a crucial benefit. In addition having a good network for the politics in EU member states capitals – emphasis on the plural – rather than a hot line to one capital would serve their political masters well. The Commission and EEAS is the repository of a huge amount of expertise and knowledge. The Cabinets must have people who can respect, utilise this, and challenge this; not compete with it or ignore it. Cabinets should not be places where good ideas from the Directorate-Generals or Service go to die. Ill thought out micro-management from the Cabinets or simply a black box in which information goes but nothing comes out, can be a disaster. At the level of Cabinets there is a danger that it is all about the politics, visibility and policies, with very little on implementation. A good understanding of what has been tried, what can be built on, and why things haven’t worked is vital in EU external policies. Sometimes, the distance between policy and practice is a credibility problem for the EU. More policies dreamt up by bright young things without a good understanding of overcoming the EU’s implementation blockages would be bad news. So knowing how to get things really done is crucial. Cabinet members must have a good feel for European values as articulated in the Treaties beyond simply pursuit of what may well just be short-term EU economic, political and security interests. A cabinet, like all fantasy football teams, however can never really get all the players you want and you may end wondering how some people ever ended up on your team in the first place half way through ‘the season’. So some dynamic changes mid-term can always freshen up things.